There are many college search websites (also known as college search engines) available online. If you are looking for the most flexibility in how you can search/what criteria you can include, I have listed out the best college search website options below. Big Future (College Board) – This site offers a good variety of different search criteria plus you can specify how important each search option is to you. When the matches are displayed, they will indicate a % match based on the search criteria you selected. Search results are displayed in an easy to read format and you can click on each school to see more detailed information. You can compare 2 or 3 colleges on basic criteria including location, size, cost, and selectivity. Big Future is visually appealing, easy to use, and you can sign up for an account so that you can save your results to your own list. CollegeData – This site offers several search criteria specific to “Financial Friendliness” including Percentage of Financial Need Met, Average Amount of Student Debt, and Percentage of Students Receiving Merit Aid. CollegeData shows a large amount of very helpful data for each college. You can create an account and save your search results. College Data is not really visually appealing – it is more of a straight list and grid display, but I think the amount of data shown more than makes up for this. College Results – This site is a little different. It was developed to provide visibility to college graduation rates, but uses the same IPEDS (Integrated Postsecondary Education Data System) data that CollegeData uses. 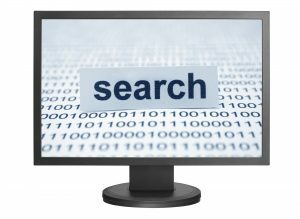 In order to search like you would on other college search websites, you need to go to their Advanced Search function. The most current IPEDS data available is from 2014. There are 5 tabs where you can select search criteria – Location, College Characteristics, Admissions and Price, Student Characteristics and Student Outcomes. You can search college sports divisions and even specific conferences. This is the only site I found where you could select specific conferences. This can be very helpful if your student wants to play sports in college and is targeting specific conferences. Of my 4 recommended Best College Search Websites, this is the only one where you cannot search by preferred majors. The search results display in a basic grid format, but include some interesting columns like 6-year graduation rate, average high school GPA, median SAT/ACT, and median earnings 10 years after college entry. These are all data points available from IPEDS. Results also provide commentary on economic diversity of the student body. College View – This site is set up very similarly to Big Future with respect to search criteria and that you can specify how important each search option is to you. Like Big Future, this site is more visually appealing. One helpful feature for search results – “Web Rush” finds any YouTube videos, Flickr photos and Twitter Tweets about the school. There is a lot of helpful data provided for each school, including specific scholarship information. However, this feature is not very complete or up to date. I found that many of the scholarships listed show $0 for the scholarship amount. College View makes it easy to link directly to the college’s website for more information. The accuracy of the results you get depends on the data set being used. I recommend caution especially when doing a search for specific majors. I searched for the same major, Graphic Design, on Big Future and College View and got a completely different set of results. I tend to trust college search websites that use IPEDS data the most because the data is standardized. Many of the college search websites don’t disclosure the data set they are using. Don’t make your search too limiting or too broad. Depending on what you search for, you may got a lot of search results, or only a few search results. Aim for something in the middle so that you have a lot of potential schools to explore further and then weed out the ones that don’t meet enough of what you want, but don’t limit yourself to only schools that are 100% matches on your search criteria. Sometimes students find that the schools they thought they would like the least are the ones they like the best after visiting. Base your search criteria on fact and not “gut instinct”. Some students think they won’t like a particular size of school or location, but unless they have visited different sizes and location, they are just making an assumption. Early college visits should be done to narrow down what feels right for a student. If you are looking for merit-based aid, don’t limit yourself to only the more selective categories of schools. Less selective schools might offer the most merit aid to top students. Often, these schools offer Honors Colleges or Honors Programs that will provide a top student with the challenge he or she needs. Overall, I recommend trying out several different college search websites to see the results. You may find that they all very somewhat and you might find the best variety of different schools if you use several different sites.